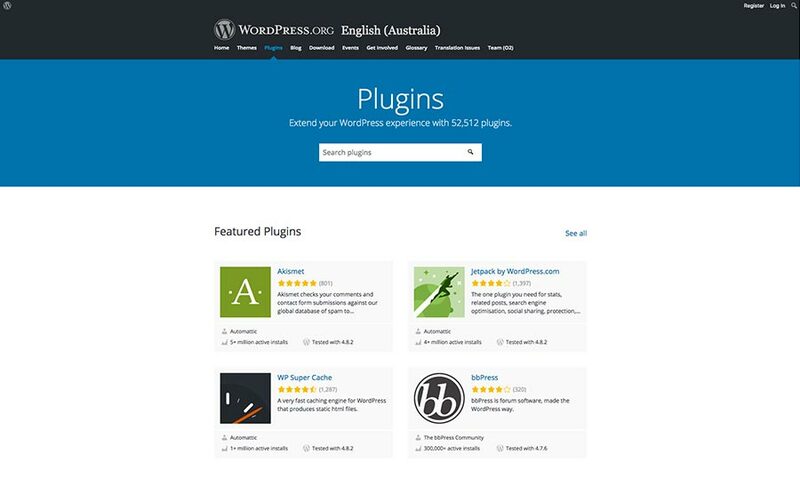 Aren’t WordPress plugins great? Of course, they are. These days it seems like there is a plugin for almost anything you can think of. From the mandatory such as SEO & security plugins to complex systems such as selling products & creating courses, all the way to the ridiculous such as theme roulette or even a Chuck Norris joke widget. But with so many plugins now on offer (getting close to 50,000 on the WordPress Directory) being able to find the right one can be daunting and worse, selecting the wrong one could turn into a major headache. What are the first things we suggest before even looking for a plugin? 1) Don’t add another plugin. Wait, What? Wasn’t I meant to give you advice on finding good plugins? Well yes, but not using a plugin is a great option. Always try to limit your plugin usage. Having too many plugins will slow down your website and increase your venerability to security threats and attacks. Similar to the above, before you get started you should ask yourself if you need the feature, how will it benefit the site, your customer experience, increase your engagement or your website’s conversion. People rush into using plugins for things that are simple to do or unnecessary. Quickly list what you are trying to achieve, if you have a clear idea of what you want before you start looking you will know what to avoid and when something either doesn’t meet your requirements or has too many additional features (which can bloat your website and make maintenance time consuming). How do you know if a plugin is one you want to install? When you search starts, votes and reviews will give you an idea of any potential complaint or issue, read them see if the complaints sound like they might be issues you will come up against, some negative comments can be based on lack of features that might not be a problem for you so spend some time and read through people’s feedback. The number of stars/votes, of course, is important. Something can look like it’s a 5 start plugin but only have 4-5 votes (probably from the developers themselves), so keep an eye out for that. 2) Update – Dates and version. It’s always ideal to find a plugin that’s been used for a while and that is being maintained. Many people offer “light” free versions of plugins and sell a premium one and if the plugin is popular enough then it has a much higher chance of being kept up to date as new WordPress updates are rolled out or new vulnerabilities are found. Google is your friend, do a quick search and see what others are saying. 4) Backup your site, then try it out. Always take a backup of your current WordPress site so if something goes wrong you can get your site back up and running. If you have a development site, always try the plugin out there first. You can set up a local copy of your website running on your own computer, this is a fast and safe way to test out plugins. Once you know they are behaving as you want, then install them on your site. There are various ways in which you can do this, but the simplest by far is to log into your WordPress account and in the left-hand menu you will see the Plugin Menu and searching for the plugin name or type. This only list’s plugins that are in the WordPress directory. With premium plugins or plugins not listed in the WordPress directory, you can download the plugin as a Zip file and upload this to your WordPress by going to the Add New plugin and finding the “Upload Plugin” button. If you do not see this, your account may not have full admin privileges or you may be using WordPress.com which will not allow you to add plugins. The majority of plugins around are free, you may think “why would I ever pay for a plugin” but the reasons should simply come down to if it does the job better. Some of the best plugins are free but there is no doubt that some of the most powerful plugins around come with a subscription fee. There are some plugins for me that are almost mandatory on all projects, these range from SEO, Security, Custom Admin Template theming, forms and eCommerce, these include Backup Buddy, iTheme Security, Yoast, Advanced Custom fields, Gravity Forms, Jetpack and WooCommerce for online shopping.